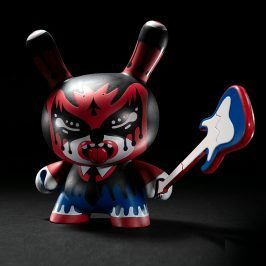 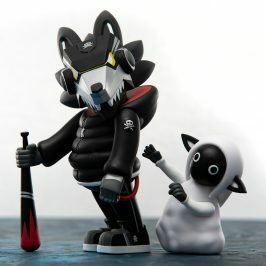 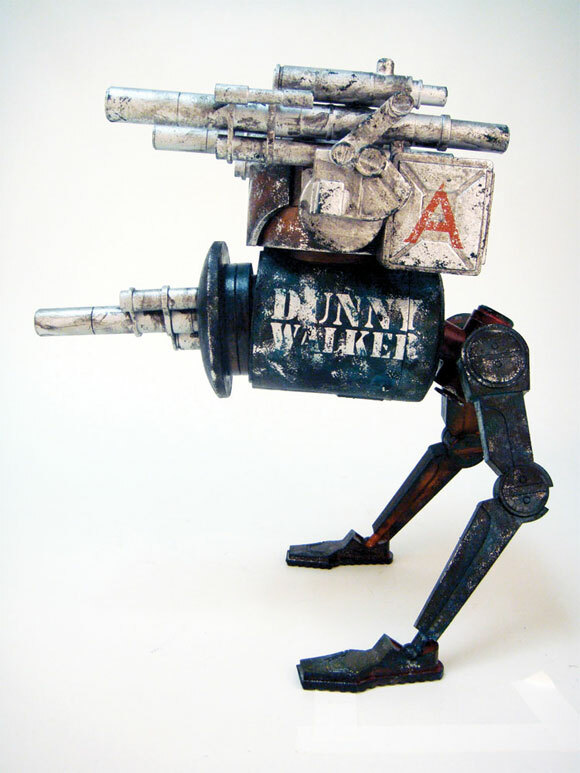 Nikejerk’s Custom Dunny Walker Seriously Rules! 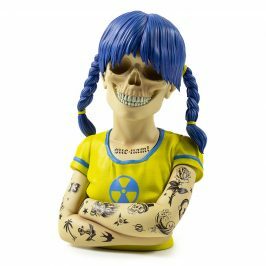 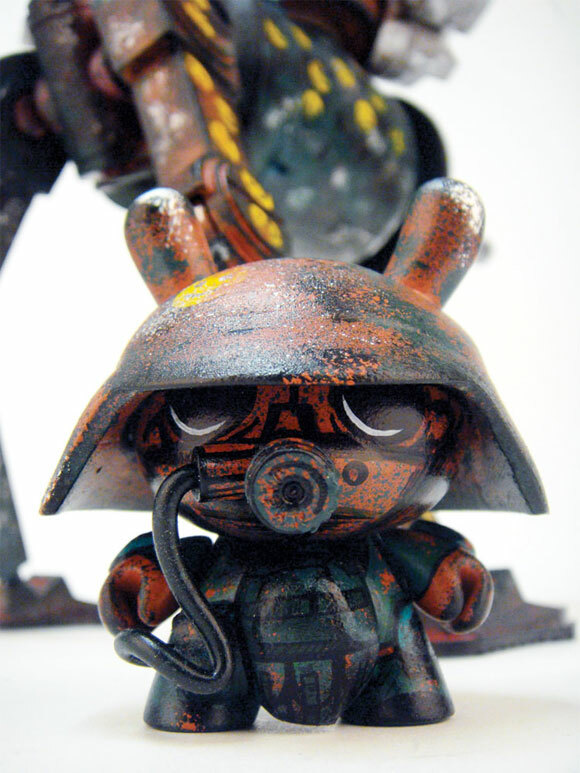 Jared Cain aka Nikejerk kills it with his latest one-of-a-kind piece for threeA’s I AM LEGION group show at 1AM Gallery in SF. 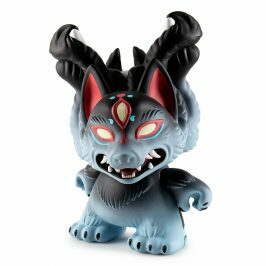 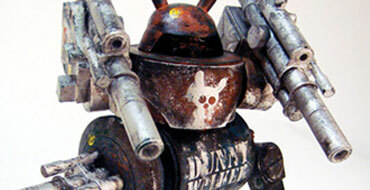 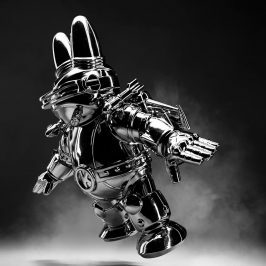 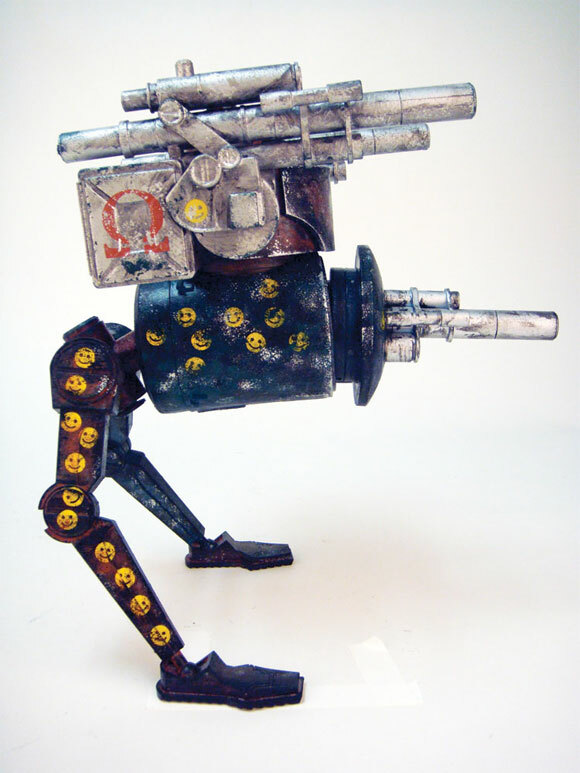 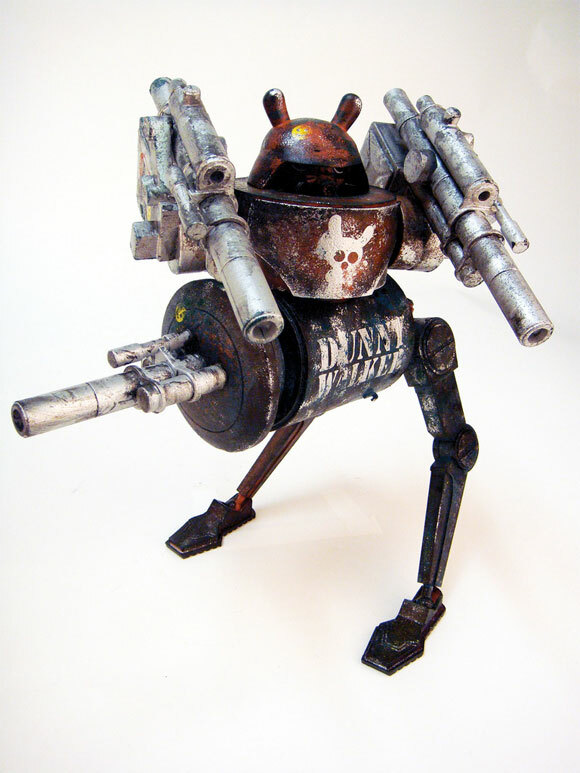 Joining two of the best worlds in designer toys, Jared has fused various World War Robots parts with a custom DePlume 3-inch Dunny to create the Dunny Walker. 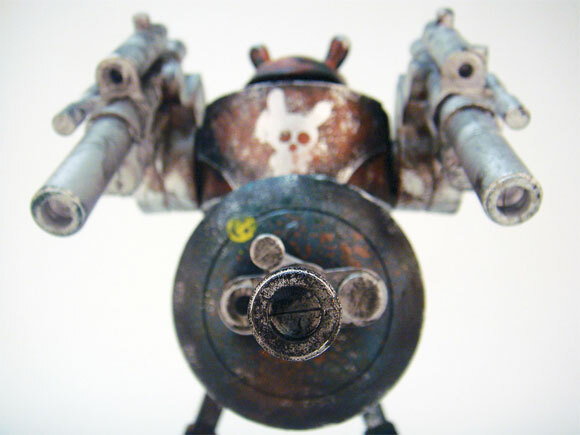 This bad boy is adorned with a ton of dirty details including two cannons named Alpha and Omega, a Happy Face kill count, and a massive amount of weathering.